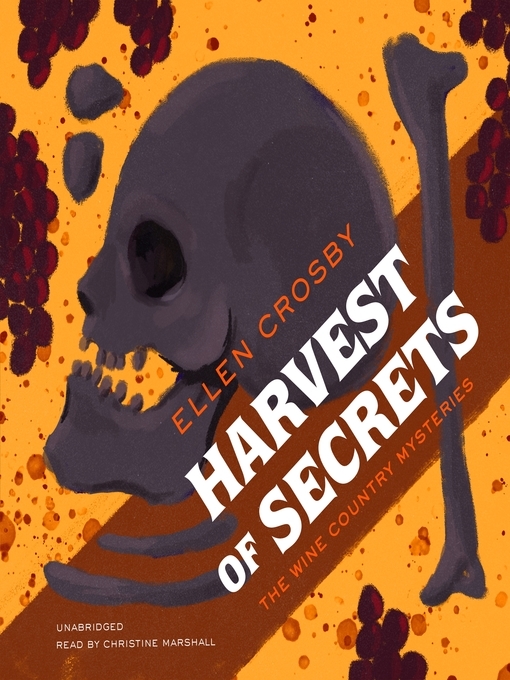 The search for the killer of an aristocratic French winemaker who was Lucie Montgomery's first crush and the discovery of dark family secrets put Lucie on a collision course with a murderer. It's harvest season at Montgomery Estate Vineyard-the busiest time of year for winemakers in Atoka, Virginia. A skull is unearthed near Lucie Montgomery's family cemetery, and the discovery of the bones coincides with the arrival of handsome, wealthy aristocrat Jean-Claude de Marignac. He's come to be the head winemaker at neighboring La Vigne Cellars, but he's no stranger to Lucie-he was her first crush twenty years ago when she spent a summer in France. Not long after his arrival, Jean-Claude is found dead, and while there is no shortage of suspects who are angry or jealous of his ego and overbearing ways, suspicion falls on Miguel Otero, an immigrant worker at La Vigne, who recently quarreled with Jean-Claude. When Miguel disappears, Lucie receives an ultimatum from her own employees: prove Miguel's innocence or none of the immigrant community will work for her during the harvest. As Lucie hunts for Jean-Claude's killer and continues to search for the identity of the skeleton abandoned in the cemetery, she is blindsided by a decades-old secret that shatters everything she thought she knew about her family. Now facing a wrenching emotional choice, Lucie must decide whether it's finally time to tell the truth and hurt those she loves the most, or keep silent and let past secrets remain dead and buried.